I’m Ed Smith, a Sacramento Defective Tire Accident Lawyer. Goodyear Tire & Rubber Co. is denying claims about a defect in their tires. Recently, the tire company denied allegations that defective RV tires are linked to 95 cases involving deaths and serious injuries. The claims are being investigated by federal regulators. In December 2017, the National Highway Traffic Safety Administration (NHTSA) opened an investigation into allegations that Goodyear G159 tires were not intended for prolonged use at high speeds on RVs. When the tires are put on motorhomes traveling at above 65 miles per hour, they were likely to fail and result in the loss of vehicle control. According to the automotive website Jalopnik, NHTSA is aware of the tire defects as early as 1996. The agency’s investigation includes about 40,000 Goodyear G159 tires that were manufactured between the years of 1996 and 2003. Jalopnik obtained court documents that show Goodyear did not accurately report the number of claims it received about tire failure to federal regulators in a previous investigation over 10 years ago. The document also confirmed that the G159 tires are indeed still being used today. In a recent statement, Goodyear said it is cooperating fully with federal regulators. The company went on to say that it has followed industry standards for its hundreds of thousands of G159 tires. The company continues to say that there is no safety defect. Watch YouTube Video: Regulators Open Probe of Goodyear Motorhome Tire Failures. This video features a news report on federal regulators investigating whether some Goodyear tires can fail and cause crashes. 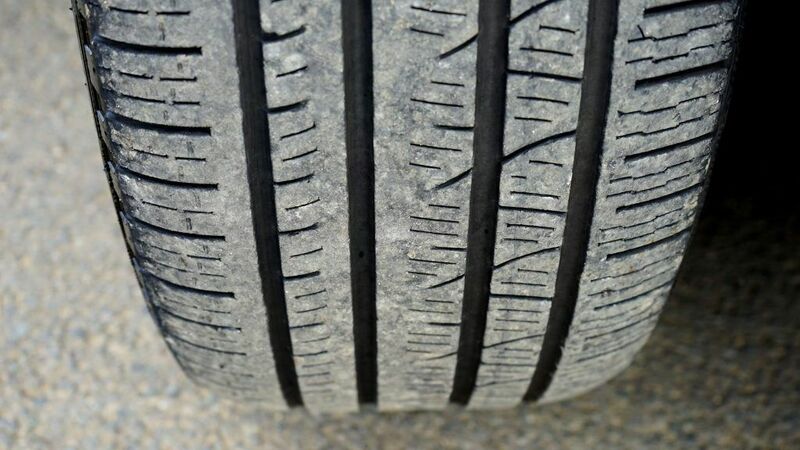 In a letter sent to Goodyear recently, the NHTSA is demanding more information on what the tire company knew about the performance problems involving G159 tires and when the company became aware of the issues. Jalopnik also reported that Goodyear has been slapped with 41 lawsuits involving G159 tires. However, the company settled almost every case with protective orders which stopped claimants from disclosing information to federal regulators or other plaintiffs. Judge John Hannah unsealed the protective order in a case that was settled last year involving allegations of the flawed tires. Judge Hannah’s decision last week to vacate the court documents came after the Center for Auto Safety Group accused Goodyear of covering up evidence about the alleged tire defect. In a statement, Judge Hannah said that Goodyear’s need to uphold the privacy of the information doesn’t outweigh the consumer’s demand for access to evidence that concerns the tires. Judge Hannah went on to say that the information which pertains to the tire’s design, testing, marketing and consumer’s ratings should be public knowledge because it exposes a possible significant risk to the safety and health of the public. NHTSA said it received numerous claims about the tire defect more than 15 years ago, but information from the lawsuits was kept confidential under protective orders preventing plaintiffs from sending the data to the agency. Now that the Arizona Superior Court ruling allowed public access to the documents, NHTSA said it has a huge amount of data stemming from personal injury cases involving Goodyear’s tires. I’m Ed Smith, a Sacramento Defective Tire Accident Lawyer. If you or a family member has been injured, call me at (916) 921-6400 or (800) 404-5400 for free, friendly advice. You can also reach me on online. I am proud to be part of the Million Dollar Advocates Forum. Our members have won more than $1 million-dollar verdicts and settlements on our clients’ behalf. You can read about our verdicts and settlements. You can see our clients reviews on Avvo, Yelp, and Google.